An Irish translation of Africa’s greatest novels has been published to wide acclaim. Things Fall Apart by Chinua Achebe was translated by Irene Lynch, wife of former Irish Ambassador to Nigeria Joseph Lynch. 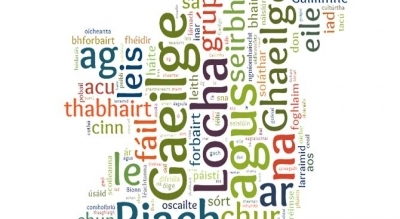 The biggest events of the year to celebrate the Irish language are quickly approaching as countries all over the world will take part in Seachtain na Gaeilge from 1-17 March. I dtús na bliana bhí an Fhionlainn ar coipeadh le scéalta faoi ”ghrúmáil” na gcailíní óga. Bhí dornán de stócaigh a raibh cúlra inimirce acu gafa ag na póilíní agus amhras fúthu go raibh siad tar éis ciontú le gearrchailí faoi aois — agus ar ndóigh bhí lucht ciníochais an Idirlín ag cur i dtíortha faoin díoltas a bhí siad le himirt ar ”na strainséirí” mar chnuasdream. Nuair a thosaigh mé ag foghlaim na Gaeilge i m’fhear óg shónta shaontach dom, ba ábhar dubhiontais domh an dóigh a ndeachaigh an teanga de bhéal na nGael, chomh luath, chomh tobann. Tá a fhios ag Dia go bhfuil cuid mhór den díospóireacht phoiblí faoi stádas na Gaeilge i sochaí na hÉireann curtha ó mhaith ar fad ag daoine nach bhfuil an cúpla focal féin den teanga acu, rud nár choisc orthu riamh tuairimí láidire a bheith acu ina taobh. Giota beag ama ó shin chuaigh an scéala timpeall go raibh ‘páirtí náisiúnta’ nua le bunú in Éirinn. Mar is eol do chách tá ‘páirtí náisiúnta’ nó náisiúnaíoch nua ag teastáil ó mhuintir na hÉireann lán chomh géar agus rothar nua ón iasc. Thar aon rud eile ní féidir a rá nach mbeadh glacadh forleathan leis an náisiúnachas Éireannach i sochaí na tíre pé scéal é, agus páirtithe is eagraíochtaí seanbhunaithe ar fáil d’aon duine ar cás leis cás na hÉireann mar thír ar leith. 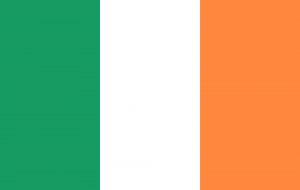 Aon duine ar maith leis, abair, tuilleadh aitheantais agus stádais a bhaint amach don Ghaeilge agus do chultúr na Gaeilge, sin nó athaontú na ‘sé gcontaetha’ leis an gcuid eile den oileán a éileamh. Cén úsáid a bheadh i ‘bpáirtí náisiúnta’ nua faoi na himthoscaí seo?